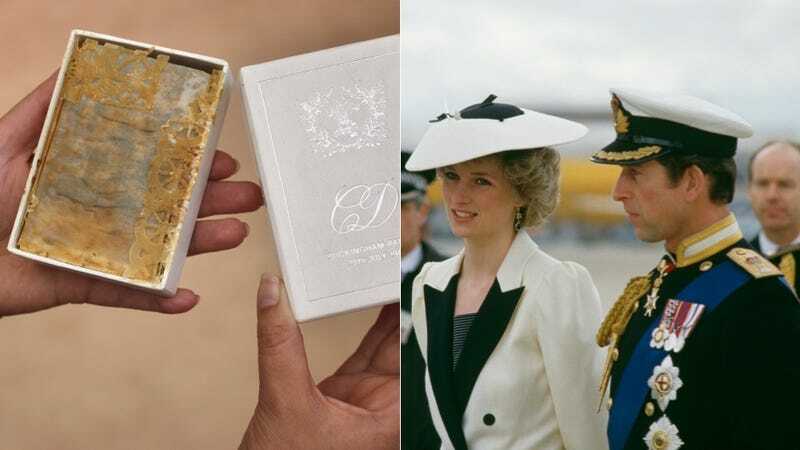 According to Vanity Fair, a few keepsakes from Charles and Di’s wedding were sold at auction yesterday including that insanely old piece of cake and even a piece of toast. Toast! The spoiled bread is from Charles and Di’s wedding breakfast and went for 230 pounds, which is $380 or your Optimum cable bill. For a 33 year old piece of toast. But apparently buying old food that used to be royal is a thing and someone else bought a piece of Kate and William’s wedding cake in 2012. Listen, all of this talk about buying moldy munchies for nostalgia’s sake reminds me that my mother has a royal keepsake that's actually useful. It's a round tin with Charles and Diana on the front and she just keeps bobby pins and rollers in it, but oh, the opportunity I now know that she is wasting. I know what I’ll be doing over Christmas break … firing up that EBay account! Or maybe I should call Christie’s? Is that too much?